For each of the 10 years from 1996 to 2015, the highest number of deaths from crimes by extremists in the United States occurred at the hands of white supremacists—a tally that includes both non-ideologically as well as ideologically motivated murders. 2016 marked the first break from this pattern, when the country's worst mass shooting last June was perpetrated by a self-identified Muslim at a nightclub in Orlando. Though we do not know whether there are long-term implications in this shift, what is clear is that, at the start of 2017, white supremacy is still one of the primary causes of domestic terrorism and hate crimes in the U.S. today. It is rare to come across an organization that does not have an inclusion statement or some internal effort related to inclusion. Many organizations see inclusion having a broader meaning as a platform for higher organizational performance and understand that they simply cannot afford to ignore inclusion. In more progressive organizations, inclusion is being implemented as a path to competitive advantage—a central business strategy that accelerates organizational performance, builds stronger connections with organizational members and with customers, and produces superior bottom-line results. But even in these organizations, inclusion efforts can be hindered by misconceptions that inclusion is solely “a nice thing to do” that is separate from the core operations of the organization and its performance. Do you believe our public leaders have these responsibilities? Read this article to see how its author, Robert Hayles, describes the capabilities needed by public leaders and what they must do to acquire them. How are women doing in gaining access to senior leadership roles? 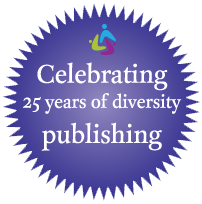 If differences are to make a difference, we need an "inclusion breakthrough"
DiversityCentral.com is a business center for practicing effective diversity management and developing cultural intelligence. We are a premiere destination for workplace solutions! Stay updated on diversity and inclusion! Do you think the discourse about diversity and differences in the U.S. Presidential Election will adversely affect D&I work in organizations? Support diversity in your workplace, purchase our posters from the Diversity Store! 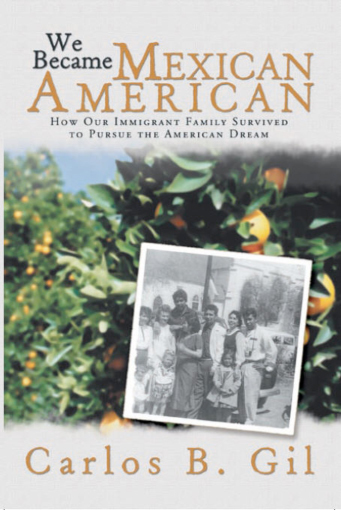 Here is a story of an unwavering human spirit that thrives in adversity easily discoverable among Mexican immigrants today in many American cities; it is a literary tour de force with a motivating and illuminating tale. Remarks about Latinos today are included in the Afterword along with photos, a glossary, and Study Questions. We salute Walmart as our first sponsor! We invite other companies and organizations to join Walmart as sponsors of the Archive. 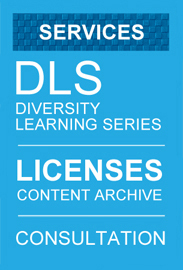 Your sponsorship not only supports this extraordinary resource of articles, tools and resources, but it also provides you with an Organizational Content License for your entire organization—an exceptional tool to support your leaders, managers and employees as they pursue their learning journies on diversity, inclusion and cultural differences. Please contact us to become a sponsor and gain access to the Archive!